Due to the Ninth International Climate Change Conference (ICCC-9) sponsored by The Heartland Institute, The Week That Was will be less comprehensive than usual. Over 600 people attended the Heartland Conference, ICCC-9, held in Las Vegas, Nevada, from July 7 to 9. There were over 60 speakers. Most spoke for about 12 minutes on the 21 different panels covering different issues on the science of human-caused global warming/climate change and the policies being implemented by governments, supposedly to address global warming. Keynote speakers had about 25 minutes. There were numerous awards given to scientists for their long service in insisting that the fear of global warming/climate change be based on rigorous science, rather than politicized science. Some of the Awards: Fred Singer presented the Fredrick Seitz Memorial Award to Sherwood Idso for his pioneering work on the enormous benefits of enhanced atmospheric carbon dioxide (CO2) for humanity and the environment. Virtually all food crops and most other plants grow better in an atmosphere richer in carbon dioxide than today’s atmosphere. As human emissions increase atmospheric carbon dioxide, we can look forward to a world more bountiful than the one today and a more robust environment in general. In his long career, the late Fredrick Seitz exemplified that best a dedicated scientist can offer and after long service was recognized as President Emeritus of Rockefeller University, a premier medical research institution. He was the founding chairman of the Science and Environmental Policy Project (SEPP) and supported the formation on the Nongovernmental International Panel on Climate Change (NIPCC). Arthur Robinson presented the Courage in Defense of Science Award to Willie Soon. Long an outspoken critic of the UN International Panel on Climate Change (IPCC), Soon has demonstrated unusual courage in maintaining his views in spite of outrageous accusations from the climate establishment. His professional career has probably suffered from his public statements, but his integrity is intact. The EarthFree Institute presented the Speaks Truth to Power Award to Patrick Moore. Moore gave a striking keynote address “Confessions of a Greenpeace Drop-out” presenting some of misguided policies of the environmental industry that are detrimental to humanity and the environment. Moore’s comment that we should view the Canadian oil sands as a natural oil spill that needs to be cleaned up will outrage his former colleagues in Greenpeace. Former FBI agent and IRS person of special interest, Gary Aldrich presented the Climate Science Whistleblower Award to Alan Carlin who, when with the EPA, challenged its finding that carbon dioxide emissions endanger human health. Several commentators thought Carlin’s acceptance speech to be particularly moving. Calvin Beisner presented Roy Spencer with the Outstanding Evangelical Climate Scientist Award. In a Senate hearing, Rhode Island Senator Sheldon Whitehouse tried to attack Spencer’s scientific findings through Spencer’s religious beliefs. The senator only succeeded in disgracing himself and the senate. Spencer and his collogue, John Christy, have endured significant personal criticism for their willingness to publicly post their calculations of atmospheric temperatures from satellite measurements. They have given the nation and the world the only transparent, reliable temperature record, which is also the most comprehensible in existence. If religious beliefs give them the moral compass to take such actions, so be it. The Heartland Institute presented the Lifetime Achievement in Climate Science Award to S. Fred Singer, President and Chairman of the Science and Environmental Policy Project (SEPP). Singer conceived and directed the independent Nongovernmental International Panel on Climate Change (NIPCC) project. He recruited an international array of superb scientists to write the initial NIPCC report, which was published by the Heartland Institute. The NIPCC project has grown significantly and now is a counterbalance to the government-funded IPCC, which ignores significant science or buries it below politically motivated exaggerations. NIPCC v. IPCC – Physical Science: Bob Carter and Fred Singer, co-authors/editors of the NIPCC reports, and contributing author Willie Soon stressed the major differences between the NIPCC report on the physical science and the IPCC report on the physical science. The NIPCC report includes science the IPCC report ignores or buries. The high confidence the IPCC expresses about its work in Summary for Policymakers is not substantiated by the physical science. NIPCC v. IPCC – Biological Impacts: NIPCC co-author/editor Craig Idso discussed the enormous benefits to the biosphere from increasing concentrations of atmospheric carbon dioxide. Craig Loehle focused on the shoddy methods used in the IPCC report to make claims about species extinction. Cold tolerance, not heat, is the limiting factor in species range. The government agencies which maintain the records have been less than transparent in their mathematically manipulation of them, creating considerable concern in their reliability. Yet, the US stations are considered to be the gold standard. It is time to move to a new standard, the satellite record, which is maintained by two independent groups. These records are the most comprehensive available. They include the atmosphere over areas where there are no surface instruments, such as the oceans which cover 71% of the earth’s surface. Models: A number of speakers, including Roy Spencer, emphasized that the models are overestimating warming trends, some by a great amount. There has been no warming trend for at least a decade. Thus, the models should not be used as a basis for policy, yet they are, particularly in the EPA finding that greenhouse gases, particularly carbon dioxide, endangers human health. Getting Colder? Some speakers focused on the possibility of the planet cooling. Joe D’Aleo addressed the recent record of colder, snowier winters in the US and the Northern Hemisphere. Howard Hayden gave a historic overview of the current climate period, a short time of warming in an age of glaciation and Fred Goldberg discussed the early 21st century reduction in Arctic ice extent was not unusual and the ice is rebounding. If the current trend of Arctic ice continues, it will dash the dreams of those who hope to profit from trans-Arctic sea routes. 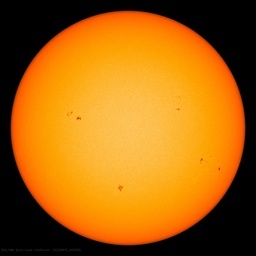 The Sun: German scientist Sebastian Lüning and Russian scientist Habibullo Abdussamatov presented their thoughts that the sun has become dormant and that this lessened activity will result in a cold period that may be similar to the Little Ice Age. If so, then climate change will be a real threat to agriculture production and to humanity. The very opposite of what current western government policies are designed to prevent. Sea Levels: On separate panels, Fred Singer of SEPP and Tom Wysmuller of the Right Climate Stuff Team presented their research on sea level rise in the 21st century. Singer thinks it will be in the order of 7 to 8 inches (18 to 20 cm). He thinks that the West Antarctic ice sheet (in the Ross Sea) will continue to melt for the foreseeable future, even though snow and ice on the continent of Antarctica are accumulating. Wysmuller calculates that sea level rise will be even less, a maximum of 5 inches (13 cm). Both calculations are far less than the projections by the IPCC and orders of magnitude less than the alarmist US National Climate Assessment. Changing pH: In his presentation on the biological impacts of increasing carbon dioxide, Craig Idso touched on the impacts of the possibility of a lowering of ocean pH. Idso does not foresee a problem from a slow lowering of pH, should it occur. The waters will not turn acidic as many alarmists claim. Further, far too many of the experiments used to claim dramatic results actually shock the system, which any aquarium owner knows should not be done. Success: The general commentary at the closing of the ICCC-9 was that the conference was enormously successful. The mood was pronouncedly upbeat. A lot of work needs to be done to sway the public, the political process, and the politicized scientific institutions. The NIPCC project is succeeding in bringing together independent scientists who openly question government-funded science, in spite of the personal attacks. These scientists realize that it is not who asserts a scientific theory or relationship, but how and why they claim to know it. Nature, not man, is the judge. A New Paradigm? Since the recording of his talk is not available, Ken Haapala’s presentation is outlined below. After questioning the assertions that carbon and carbon dioxide are pollutants that must be taxed, Haapala expressed wonderment that the Department of Agriculture is one of the eleven government agencies involved in declaring that carbon dioxide emissions have a social cost. It is as if the Department of Agriculture does not recognize CO2 is critical for photosynthesis, which is vital for green plants and virtually all life on this planet and it does not recognize the pioneering work of Sherwood Idso, and others. The Department of Agriculture should be praising of the social benefits of carbon. To address this madness, Haapala referenced the Structure of Scientific Revolutions by Thomas Kuhn, who asserts progress in scientific knowledge is not linear – but occurs in spurts. Up to the 1970s, most understanding of climate change was limited to geologists. It is normal and natural, and sometimes abrupt. Kuhn states that often significant progress occurs when one concept (or mind-set) used in viewing a puzzle of natural science is replaced by another concept that better explains the puzzle. He calls the concepts paradigms. The paradigms include the way in which data and experiments are conducted and interpreted. For example, when the paradigm of a static surface of the earth was replaced by plate tectonics, our ability to explain the earth’s history expanded greatly. In the 35 years since the Charney Report, five major IPCC reports have produced no improvement in understanding of the temperature impacts of a doubling of CO2. Research has not been fruitful. Something is very wrong. Based US government reports, SEPP calculated that from Fiscal Year (FY) 1993 to FY 2013 total US expenditures on climate change amount to more than $165 Billion. More than $35 Billion is identified as climate science. The White House reported that in FY 2013 the US spent $22.5 Billion on climate change. About $2.Billion went to US Global Change Research Program (USGCRP). The principal function of the USGCRP is to provide to Congress a National Climate Assessment (NCA). The latest report uses global climate models, which are not validated, therefor speculative, to speculate about regional influences from global warming. Much of the remaining 89% of funding goes to goes to government agencies and industries claiming they are preventing global warming/climate change, even though they do not understand the natural causes of climate change and, likely, far overestimate the influence of CO2. These entities have a vested interest in promoting the fear of global warming/climate change. It is time for the government to stop funding irrational fear of global warming/climate change based on a concept of climate that is not substantiated by the physical evidence. If we are to progress in our understanding of climate change, the paradigm must be changed from one that earth’s temperatures are largely controlled by atmospheric CO2, to one which recognizes that climate change is normal and predominately natural. Human CO2 emissions have little, if any, influence on temperatures and other climate trends. Number of the Week: 1 in 78,664,164,096. Congress sent the US Internal Revenue Service asking about emails targeting conservative and pro-Israeli groups. The emails were on 7 different disk drives, all of which crashed that month. According to the person who made the calculations (unknown), the odds of a disk drive failing in any given month are roughly one in 36. The odds of two different drives failing in the same month are roughly one in 36 squared, or 1 in about 1,300. The odds of three drives failing in the same month is 36 cubed or 1 in 46,656. The odds of seven different drives failing in the same month is 37 to the 7th power = 1 in 78,664,164,096. Whether or not the calculations are accurate is not the major issue. The major issue is the IRS claiming they cannot produce the emails due to multiple disk drive failures. Tom Steyer ruined the planet before he offered to save it. India won’t agree to any binding cuts on emissions as it has not utilized its fair share of the earth’s carbon space and still has to provide minimum standards of living to its entire population, the Economic Survey said, reiterating the nation’s stand in international climate change negotiations. Is it ‘cos he’s a green? We already knew about the “smart idiot” effect. Now, meet the “rich idiot” effect. EPA Is Desperately in Need of Budget Cuts. Here’s a Few Places to Start. For the sake of American prosperity and security, President Obama needs to approve Keystone. A DNA expert has made the bold claim that ginger hair gene could die out if Scotland climate improves. July 13, 2014 in Climate News Roundup. Regarding IPCC certainties mentioned above. Wow, what an eye opener. Allow me to paraphrase. Say what?! IPCC has low confidence in the CO2 feedback strength and has felt that way for a while! ??? Summary: There is no evidence to blame any of these “…aspects…” on human activity. A weather smidgeon here, a weather smidgeon there, here and every where soon seems to be the math will find it to be taken together as climate. So goes the work of us little smidgeons you see. Any of you pros want to discuss this? Is polar vortex a pretty sure event to repeat this coming winter? I’m blown away with PVST (Polar Vortex Stress Disorder) already, can hardly think straight. Does the IRS pattern of behavior differ from that in current climate science. It Is one of the most repressive things this country has ever seen. Endemic, is another word that comes to mind. On a positive note, I have viewed most of the presentations from the conference. What an outstanding group of brave and talented people. I hope we will have access to the presentations that were provided. There is a treasure of great knowledge sharing. Habibullo Abdussamatov? A solar connection to climate? That is heresy. And besides measurements of TSI do not support it. We are living in the new 1930s of a nascent ecofascism. Somewhere, in high school or University, perhaps, the future eco-Hitler is already planning to write his/her AGW mein kampf. The issue could be decided one way or the other over the next couple of decades. The green AGW reich may or may not still be stoppable. I wonder how we can be so far apart on such a critical issue. Regardless of how good AGW thinks the science is that supports run-a-way warming, the amount of co2 put into the atmosphere continues unabated and the temps have not risen. Something is majorly wrong with the Theory. Obviously, Scandinavians are at risk of death from exposure if they bare much of their skin below the neck outdoors. Their heads are the only available real estate for generating Vitamin D, so their hair must be as close to UV-transparent as possible. Interesting factoid: Blacks’ skin is UV-reflective, whites’ is absorptive. So in a UV camera, blacks appear silver or white, whites look black.